We will be serving up a delicious Spritzer. Have your company & employees be there to welcome guests as they enter the event & assist in the serving the Spritzer. A wonderful opportunity to have your companies logo designed on personalized tags for wine bottles place on tables. All attention is on the main course! 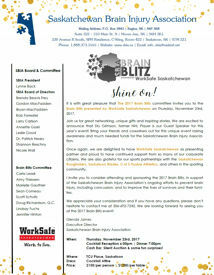 Have your company Logo/Name on a customized dinner menu as well as printed on Brain Blitz tickets. Have your company logo/name on dessert pieces as well as your company name on a customized menu. Aside from the keynote, we will have entertainers throughout the program. Have your name associated with the FUN aspects of the event. You are welcome to introduce or thank the entertainment as well as have a sponsor sign incorporated into the staging. Such a great opportunity to showcase your company! Have your staff or business associates donate a couple of wine bottles each, filling the Wine Tree with 50 bottles of various wine bottles. We would feature your Company as the Wine Tree Sponsor with signage that would include prominent placement of your logo. You are welcome to include a tag or business card which can be placed on each wine bottle. A unique way to network & meet the guests as well as the keynote. Your company logo will be on hard copies of all photobooth photos with Title and Presenting Sponsor logo. Company logo will also be on prominently placed signage by the Photobooth. Along with Brain Blitz Volunteers, have your staff help guests pick out fun photo booth props, stage some funny poses & have fun! We've all played the game but here, proceeds go towards a great cause. This will be a large game of heads and tails where the last player standing wins a HUGE prize! As a sponsor, you will be on the stage flipping the coin for all to see! Great way to showcase a team member in front of this professional crowd! Takeaways for the guests is a must! Incorporate your brand into the gift or provide bags for all guests to take home their gifts in. Either incorporate companies goodies that are your partners, or we can do the work. Up to you! **NOTE: Size of all logos and repetition of signage on big screen at Gala to reflect level of sponsorship.